BERLIN, Apr 19 2018 (IPS) - Latin America is facing challenges in energy efficiency, transportation and power generation to move towards a low carbon economy and thus accelerate that transition, which is essential to cut emissions in order to reduce global warming before it reaches a critical level. The region has made progress in the production of renewable energy, especially from sources such as wind and solar, in the last five years, but it has not yet been able to significantly reduce its dependence on fossil fuels to clean up its energy mix. Some countries, such as Brazil and Mexico, have made strides in areas like renewable generation, while others, such as the Dominican Republic, are considerably lagging behind. “There is a lack of incentives for investment. In addition, fossil fuels have a strong influence and can stall policies and regulations. We need to stop that interference,” Ginny Heinsen, the director of the non-governmental organisation Sustainability 3Rs, based in the Dominican Republic, told IPS. 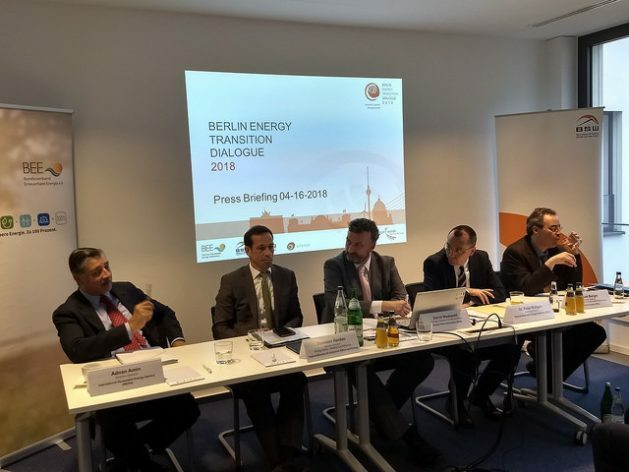 She was taking part in the Berlin Energy Transition Dialogue, held Apr. 17-18 in the German capital, and organised by the German government. The meeting, with the theme “Towards a Global Energy Transition,” was attended by some 2,000 people from 95 countries, including officials, representatives of international organisations, academics, members of the business community and civil society delegates. The debates focused on issues such as the increase in public investment in alternative energies, attracting private sector resources, energy markets, urban mobility of the future and technological innovations. 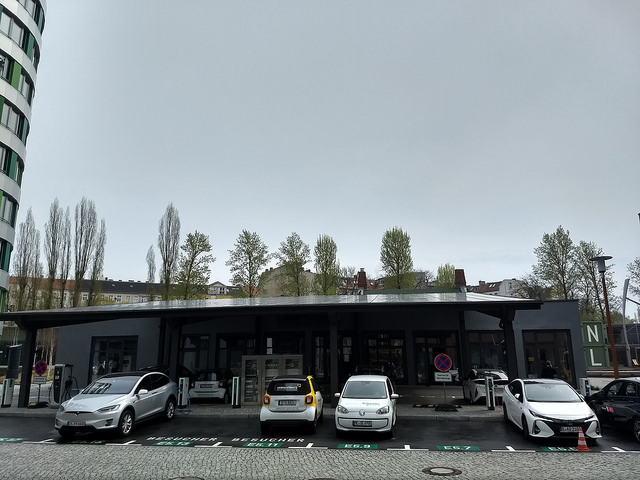 The energy transition consists of a gradual substitution of fossil fuels in economic activities, until reaching a model that does away with these polluting fuels in favour of sustainable and more environmentally friendly alternatives. This transformation has taken priority in face of the urgency of cutting greenhouse gas (GHG) emissions, responsible for the temperature rise on the planet, in order to mitigate climate change. What remains to be done is illustrated by countries such as the Dominican Republic, where fossil fuels dominate the energy mix, accounting for 76 percent, followed by coal (12 percent), hydropower (nine percent), wind power (1.5 percent), bioenergy (one percent) and solar power (0.1 percent). These are figures from the 2016 study “Renewable Energy Prospects: Dominican Republic,” by the International Renewable Energy Agency (IRENA), composed of 30 countries. This study notes that a special law in that country establishes that renewable generation must amount to 25 percent of the total by 2025. The two largest economies in the region, Brazil and Mexico, were in the lead in 2017 in attracting investment in renewable energy, drawing about six billion dollars each, representing an increase of eight and 810 percent, respectively, compared to 2016, according to data from IRENA and the International Energy Agency (IEA). In the case of Mexico, the liberalization of the electricity market in 2014 has been decisive, opening up the generation, distribution and sale of electricity to private capital. In total, Latin America presents an index of at least 27 percent penetration of alternative energy, which is above the world average. But in the region, only Argentina, Brazil and Uruguay have specific policies for heating and air conditioning, according to the report “Renewable Energy Policies in a Time of Transition,” launched during the Dialogue. The study was prepared jointly by IRENA, the IEA and the non-governmental Renewable Energy Policy Network for the 21st Century (Ren21). In terms of transport, most Latin American and Caribbean nations apply measures to use biofuels, but in contrast only Chile adopted electric and renewable mobility goals, reflecting the predominance in the region of polluting and inefficient transportation dependent on fossil fuels. Transportation contributes 30 percent of GHG emissions in Latin America, according to the study. The region is exemplary in its low ratio between its energy consumption and gross domestic product (GDP), known as energy intensity, but its rate of improvement is among the lowest in the world, with an annual average of 0.5 percent between 1990 and 2010. The World Bank report “Regulatory Indicators for Sustainable Energy” illustrates the situation in the region, which received an average rating of 60, on a scale of 0 to 100. Among the countries with the highest rating were Mexico (79), Brazil and Colombia (51), and Chile (50), while Peru (31) and Guatemala (22) are among the lowest rated. For its ranking, the multilateral financial institution assessed 12 indicators, such as planning, institutions, financial incentives and building codes. Cristina Wollmann, Director of Investment Management and Collection of Resources of the Municipal Secretariat of Planning, Regulation and Finance of the city of Curitiba, in the south of Brazil, considered that the priorities should be those on the budget, coherence between federal and local policies, and municipal capacities. “It is important to have good, viable projects. There are resources, but sometimes the projects are not good,” the municipal official told IPS. Curitiba has stood out in Latin America for its innovative policies, especially its integrated public transport service. Like others in the region, the city is experimenting with the introduction of electric buses, to see if they can improve public transportation. For Adnan Amin, IRENA’s CEO, change should be at the centre of any energy strategy. “The real challenge is how to decarbonize transport, industry and heating and how to deploy renewable energy in those areas,” he told IPS, highlighting the low renewable generation costs registered in 2017 in countries such as Chile, Mexico and Peru. By 2050, the energy transition may amount to a rise of more than two percent of the regional GDP, according to the report “Global Energy Transformation: A Roadmap to 2050,” launched during the Berlin Dialogue. “We expect energy measures to open the market,” in order to draw new investments, Heinsen said. “We also need the private sector to see that there are opportunities to work on that agenda. We have to recognise new deals and take advantage of the opportunities to change towards a new model,” said Wollmann, from Curitiba. In energy efficiency, Mexico is one of the few Latin American countries to adopt a goal of reducing energy intensity by 1.9 percent during the 2016-2030 period and 3.7 percent by 2050. In his speech in Berlin, the director of the IEA, Fatih Birol, from Turkey, warned that energy efficiency fell in the world in 2017, since 68 percent of energy consumption is not regulated by any efficiency standard.